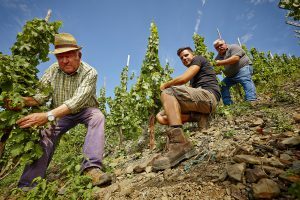 Viniculture has a long tradition in the Ahr valley: it is possible to trace it back to the year 770 – proved by documentary evidence. The Romans already discerned the Ahr valley as the ideal site for wine which led to early colonization and viniculture in the district Dernau. No other „Blaue Spätburgunder“ is as lively as the one from the Ahr valley. The mild climate and slade soils in the steep river valley encourage the growing of the grapes. Today’s “Dernau” was first mentioned in a document in the 8th century as a Franconian settlement in the Ahr valley called “Dagernova”. 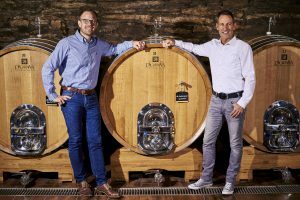 The traditional name was the inspiration for the name of the Weinmanufaktur Dagernova which bethinks itself of a thousand year-old tradititon of viniculture and applies strict criteria to the same. 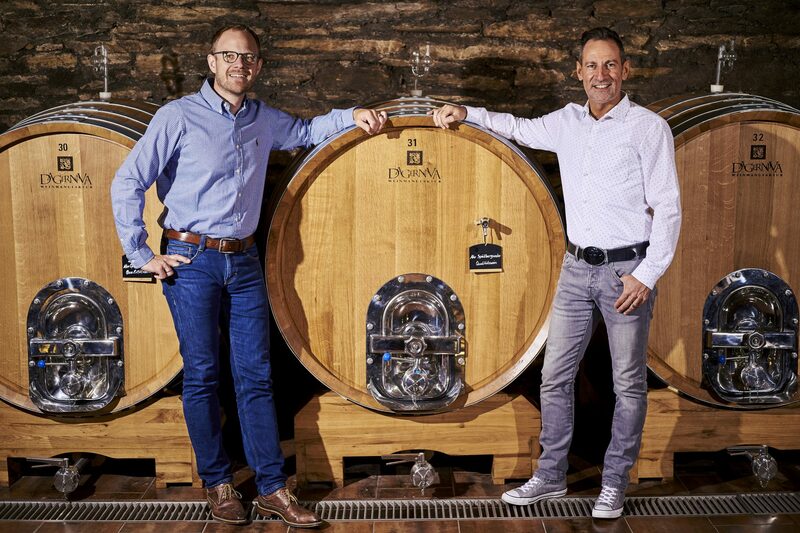 The Dagernova wine factory is resident in the house of foundation of the winegrowers' cooperative in Dernau where the focus lies on “hand-made”, selected quality. 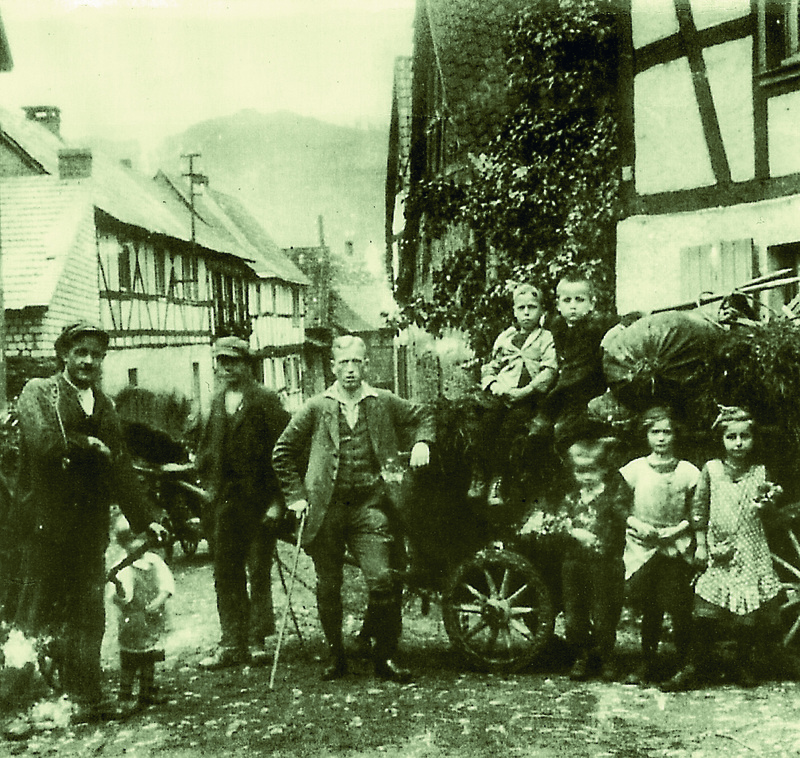 The former cooperative and viniculture cooperative were already founded in Dernau – in the heart of the Ahr valley – in 1873. In 1970 these two cooperatives merged into one: the Dernau winegrowers' cooperative. 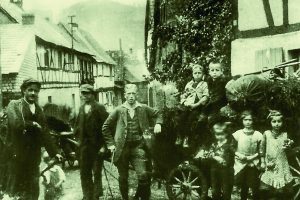 This already strong association was then joined by the cooperatives in Bachem, Heimersheim, Bad Neuenahr and Rech in the following years. In 1981 the united winegrowers' cooperative of the Ahr moved into another building. Since day one, our 600 winegrowers are determined to meet the high standards of the Ahr wine again and again – year after year. Here, handwork is key. To put a focus on this, we chose the new naming: “Weinmanufaktur Dagernova” in 2004. In the past ten years, we invested over 6 million euros in the future of our Weinmanufaktur. Apart from a stake in the wine-growing estate „Kloster Mariental”, we also invested in the buildings and the cellar technology of the cooperative. In 2010 even the area of grape processing was completely renovated and nowdays meets the most recent standards of wine-making. At the same time, the vinothek was transformed into a friendly and spacious destination for many and a great shopping pleasure. And after its renovation in 2013, the restaurant “Culinarium und Weinstube” in the Dernauer Ahrweg invites its guests again to enjoy a relaxing stay.